Wow, it's been nearly 18 months since I last blogged - a lot has happened in that time! 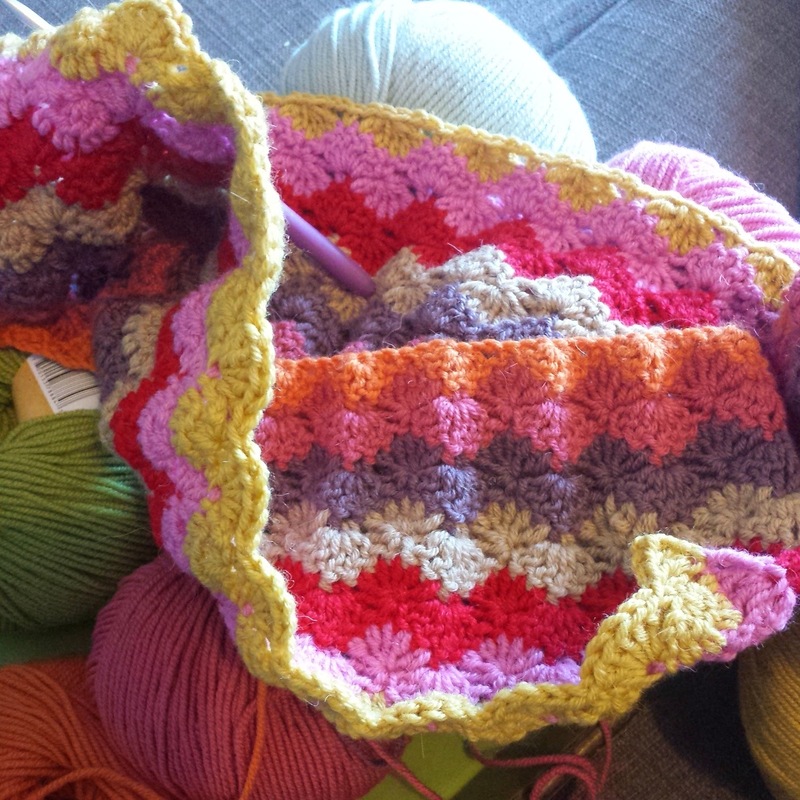 I have got divorced, moved house, found happiness and discovered that the best therapy in life (and my not-so-new-anymore-but-still-new obsession) is CROCHET. Ever since I first dabbled with crochet 2 years ago when I made my daughter a Minecraft Granny Square blanket and her cute little crochet Minecraft Creeper I have expanded my crochet repertoire quite substantially to say the least! Not a day goes by when I don't pick up a hook and sneak in even just a few minutes of crochet, I find it a fantastic creative outlet and most evenings are spent watching films with my fella and a pile of yarn on my lap. I do however, have a real problem with "Startitis"
Startitis refers to an expensive, but rarely fatal affliction that often affects knitters and crocheters where they begin several projects all at one time but don’t really make much progress on anything before starting another new project. I have an embarrassingly large WIP (work in progress) pile and rarely finish anything. 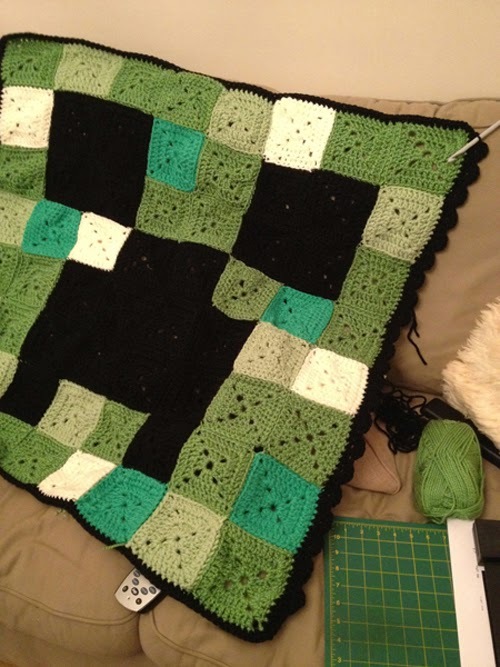 My goal for 2015 is to STOP STARTING NEW THINGS and finish my half started projects! Haha! Famous last words. By picking up my blog again after all this time, I hope it will give me the motivation to reign in my startitis issues and focus on finishing projects. 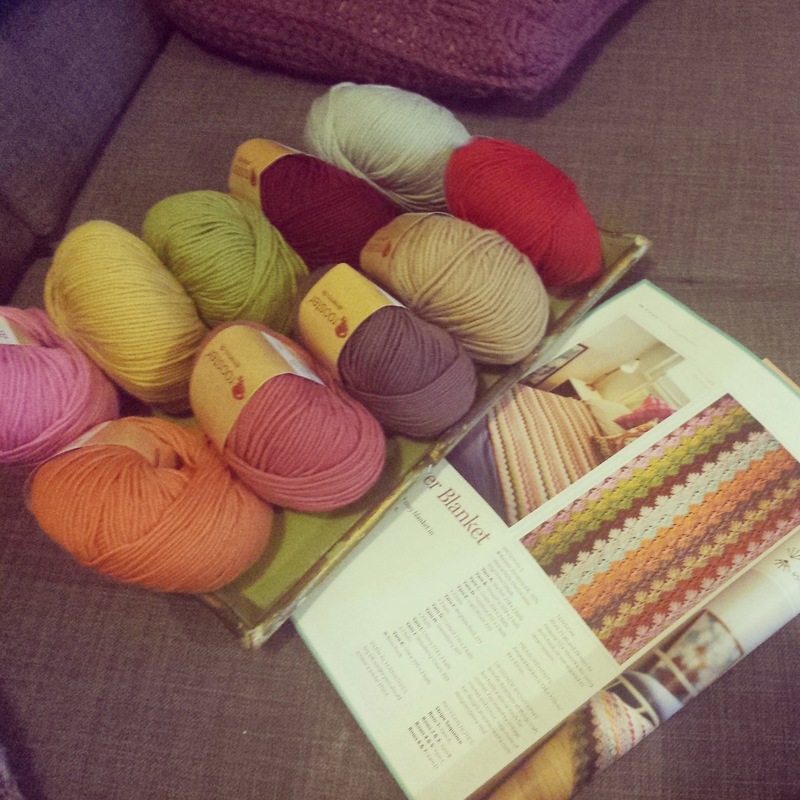 I am currently working on a special blanket using gorgeous squishy (and expensive! ouch) yarn - why is it special? Because it is for ME! Here is a small peek, it will get a post all on its own once I have finished. 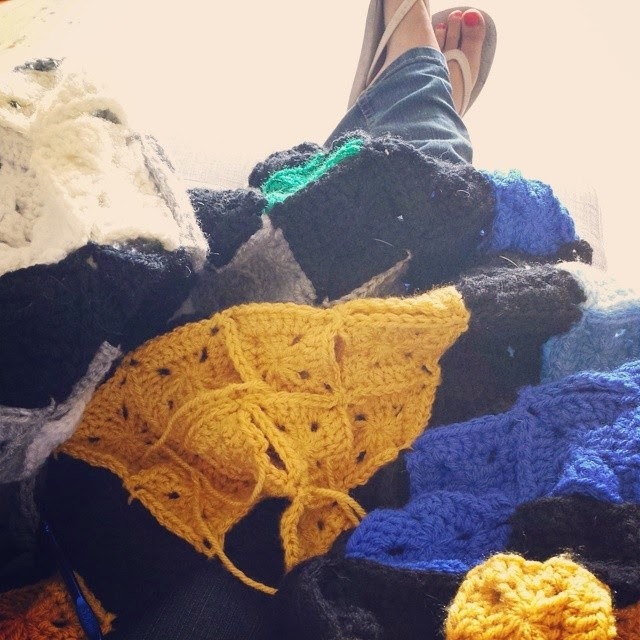 It is the Walter Blanket from InsideCrochet Magazine. 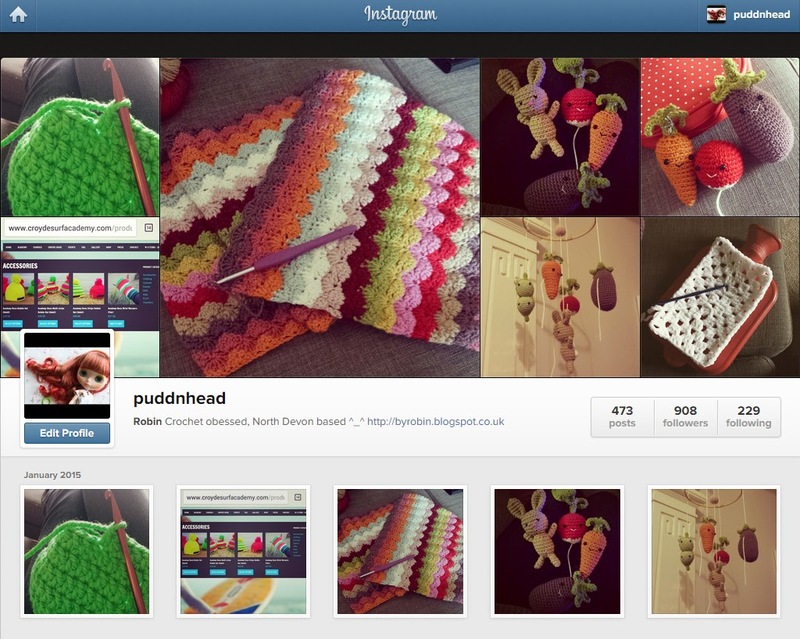 I have gazillions of photos of my crochet journey over the last couple of years (oh dear, that sounds very touchy feely doesn't it? ugh) on my Instagram account here: Puddnhead I absolutely love instagram, it is a wonderful source of inspiration!